Posted September 19th, 2017 by David Firth & filed under Apple, Consumer Technology, disruptive technology, Emerging Technologies, Entertainment. 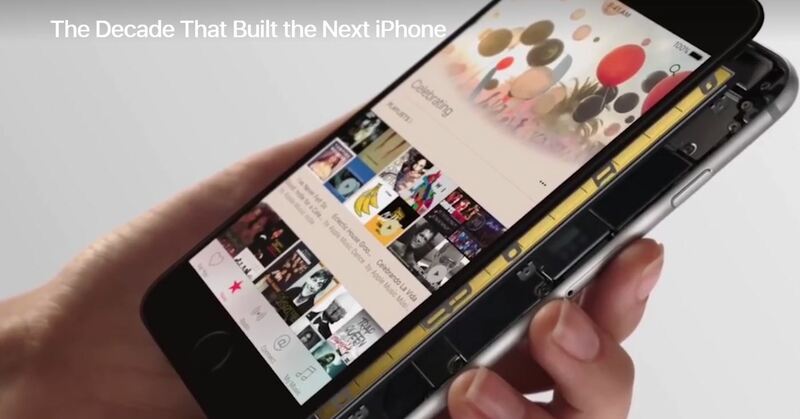 1) The video suggests that the iPhone 1 back in 2007 was revolutionary. Was it really? How big a leap was it to go from having an actual keyboard on a phone to having a touchscreen keyboard? And how could anyone have NOT thought that putting a phone and camera together was not a good idea? 2) Almost every iPhone release has been just a sustaining innovation not a disruptive innovation according to Clayton Christensen. Is there anything about the new iPhone that is disruptive, or is it just “providing more features to the top end customers”, which is the definition of a sustaining innovation according to Clayton Christensen?